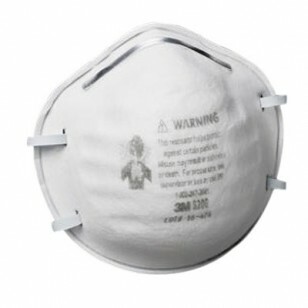 The 3M 8200 respirator is an economical solution for particulate exposure. These N95 masks are a high quality 3M respirator featuring lightweight construction for greater worker comfort and increased wear time. The N95 masks has an adjustable nose clip that helps provide a custom fit and secure seal. Made in USA. 20 per box. Great for woodworking, grinding, sanding and other dusty conditions.